Patients with back or neck issues will often come to clinic twisted and hunched into the only position that brings them some pain relief—Not a pretty sight. Even less pretty is the attempt to take patients out of that position for decompression treatments—which is how most of us were taught to treat them—laying them flat on their backs with knees up. But think about it: Patients with herniated discs, degenerative disc disease, sciatica and chronic back or neck pain often report that their most recent flare-up is from bending over, to pick up a child or a piece of luggage for example. As a result, continued flexion (bending over) worsens the condition, while extension (bending backwards) often makes it a little better. Typical treatment positions such as placing them on their back with their knees up (flexion) simply recreate that very painful position, exacerbating the pain, making it almost impossible for them to sit comfortably or be relaxed through an entire treatment. For the most effective treatment, better results, and more satisfied patients, patients should be in a relaxed position. It’s difficult to achieve that with most decompression tables, which are built to be “one size fits all.” They are not made to accommodate multiple positions, unless look at tables in the hundreds of thousands of dollars –and how many of us can afford that?! One advancement in this area is the DOC decompression table. Today, it continues to be the only decompression table, in its price range, that allows practitioners to find the exact position that is best for the patient in terms of comfort, antalgic positioning and relaxation. Patients can be treated on their backs with knees up or down, or on their stomachs with added flexion or extension. The table is even designed to flex laterally and can rotate side to side to accommodate any patient angle. This means, you can find the exact, most therapeutic position for almost every condition coming through your door. As a result, patients lie comfortably during treatment, muscles aren’t tense and spasming. The table can do its job properly -generating negative pressure inside the discs. Treatments become more targeted, more specific, more advanced; fewer treatments are often needed; and patients are happier, helping to generate positive referrals. Some studies suggest that up to 80 percent of patients with back pain may have pain that originates from a disc, and many of these patients are in their 70s or 80s. 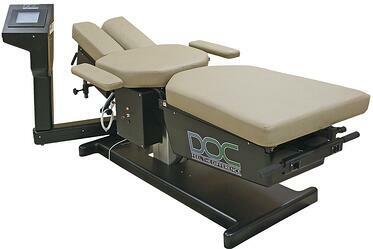 Decompression delivered through a table that can accommodate multiple positions offers a gentle but highly effective method of managing and eliminating this pain. Dr. Brian S. currently owns three highly successful spinal decompression clinics in Arizona West Virginia and Saudi Arabia, specializing in spinal decompression and cold laser techniques. 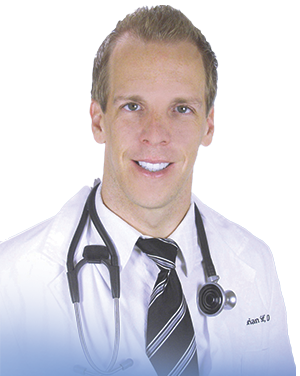 He has consulted with over 50 clinics worldwide, and has performed more than 10,000 spinal decompression treatments. 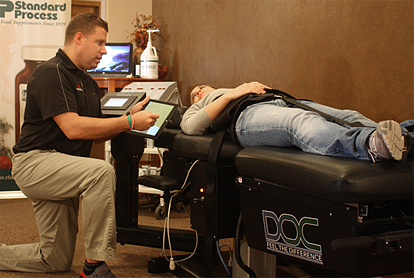 Based in Phoenix, Arizona, Decompression Pros is a spinal decompression consultancy with a mission to help medical doctors, physical therapists and chiropractors build and strengthen their spinal decompression services—treating more patients, achieving better patient outcomes and earning more profits.